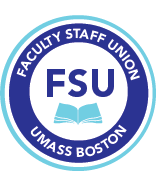 ► REMINDER: FSU meeting on parking and parking bargaining: Thursday September 13. 1 pm. Campus Center, 3rd floor, Bay View Room (3540). We will update you and hear your thoughts/input on this issue. The Administration intends to implement $15/day for those in the new West Garage when it opens. We have formally requested for them to cease and desist and to bargain all rate increases. ►Your 2017-20 contract raises. We are waiting to hear from the Administration on their expected timeline to implement the contract raises from the 2017-20 contract (that will include a retroactive raise to July 1, 2017). We will let you know as soon we have more information. ► AFR’s: Are due on Thursday, September 13: Although there will not be merit awards during this current contract (all raises will be cost of living raises), we advise your to complete your AFR since these are used for promotions and documenting your work history. In addition, departments or future contracts may reward meritorious work performed during the 2017-20 contract time period. ► DPC/CPC training: is on Tuesday, October 2nd at 1 pm in the Chancellor’s Conference room, Quinn, 3rd floor. Co-sponsored by the Office for Faculty Development and the FSU, this is designed to aid DPC and CPC chairs or their representatives to inform them of the process, and the rights and responsibilities in promotion and review. FSU General Assembly to review FY18 FSU budget: Wednesday, October 3rd, 1PM-2PM, University Hall, 3rd floor, Classroom 3350. At the May 3, 2018 FSU Annual Meeting, members voted to hold an additional meeting in early Fall 2019 to review and possibly revise the FY18 budget. FSU Treasurer Ellen Frank will be present to answer questions about the budget. ►Clinical Nursing kudos: To Pat Halon and JoAnn Mulready-Shick, for working tirelessly over several years to complete clinical nursing bargaining. They deserve our sincerest gratitude. The union is only as strong as members are involved. Let us know if you want to be involved in the union, serve on our membership drive, a committee, or help with any of these issues. If you have not yet joined as a full member we urge you to do so now! (contact the FSU office for membership materials). Please “like” the FSU Facebook Page.